Some will recall J.P. Boffo as one of the original members of Troll and naturally expect (or perhaps hope for) a strong zeuhl influence on this effort. Well, you certainly won't find it here. Which is not to say the album is devoid of the zeuhl tradition, but it is only alluded to briefly in a couple of places. However, Nomades is still a success in many regards. The emphasis here is exclusively in the jazz realm, with ethnic and Middle Eastern melodies as the focus for each of the album's ten cuts. Boffo milks his Stratocaster for everything it's worth, using classic clean tones for rhythm and soaring lead tones for melodies and solos. In fact, some of his soloing is so classy and tasteful that one wonders why he doesn't do it more often within the well-defined framework of his finely-honed compositional chops. Boffo's understanding of the importance of melody is refreshing, and the whole album is very professional, to say the least. On the down side, some of the occasional sequenced lines are rather cold and mechanical. More importantly, the album focuses too tightly on a single style, which without offering enough variety to the listener will certainly limit the shelf life. It should also be re-emphasized that the music here only touches on the progressive realm (it's much more a jazz album than anything else) but because of Boffo's background it is likely to be endearing to a lot of prog fans. The long-awaited fourth solo album from French guitarist Jean-Pascal Boffo is in many ways a fusion of the various styles he explored on his first three albums. Nomades is a musical journey through a strange and mysterious aural landscape, full of eastern influences. Ethnic percussion, modal scales, and prominent use of the violin and soprano saxophone help to create a beautifully exotic atmosphere which serves as a foundation to showcase Boffo's considerable talent and versatility. The CD opens and closes with short pieces featuring classical guitar stylings reminiscent of Ralph Towner. Boffo's electric guitar skills emerge in the intervening eight songs, which alternately feature his soaring guitar melodies and his elegant background work, allowing the violin and sax ample spotlight as well. The overall sound is at times similar to Oregon or the Paul Winter Consort, but much more energetic and driving. For a guitarist's solo album, Boffo displays admirable restraint, only stepping forward when the music requires it. He has a keen sense of musical texture, and this CD is as much a testament to Boffo's creativity as a composer as anything else. The songs provide vivid musical depictions of various eastern themes, hinted at in titles like "Caravane," "Snake's Dance," "Turbulences," and "Arabesques." Usually an undesireable element in progressive music, the repetitive rhythms and percussion are here a critical part of the overall atmosphere. The product of all of this is a haunting yet beautiful musical portrait. For those who have looked forward to this album’s release for years, Nomades will most certainly prove more than worth the wait. The master of surprises is back. Apparently this was to be his fifth album, but work on a fourth album became too expensive and time consuming, so it was temporarily placed on the back burner — so in the ten years since the demise of his original group Troll, he has released four albums which bear little or no resemblance to one another. Nomades is no exception, I would have been hard pressed to identify it as a Boffo album had I not known before playing it. The basic music here occupies an unlikely area between world-jazz and lite-instrumental rock, possibly somewhere along the Windham Hill axis, with a profusion of Arabic and North-African influences. Boffo's guitar lacings are eloquent and fluid, as might be expected, yet on some of the tracks the guitar doesn't assert itself and gets lost in a sea of dreamy orchestrations or sax wanderings. 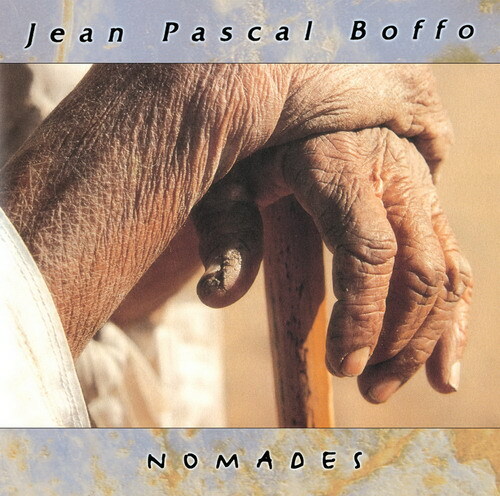 The finest moments on Nomades are those when Boffo's guitar is firmly in control, with strong melodies provided by the violin of Florence Dionisio and/or the soprano sax of Gerard Delesse, tied to earth by the strong percussive anchorings of Hervé Rouyer. When Rouyer and Boffo ease up and yield too much to the sax and synths, the music starts to stray off into new-age territory. Finally, I am often tempted to compare this with Bag's Soudain l'éleéhant, yet Nomades only achieves that kind of driving force in its most powerful moments; still, the best material on this disc (the title track, "Turbulence," "Opprande," "Snake's Dance," "Levana") shines easily through its weaknesses.